Although it is temping for some people to think so, you CANNOT make at home by yourself anything comparable or nearly as *effective* as a Gravity Pal Low Angle Inversion Table. We are the only manufacturer producing properly engineered Low Angle Inversion Table SOLUTIONS. NO OTHER MANUFACTURER MEETS THESE CRITICALLY IMPORTANT REQUIREMENTS THAT ALLOWS LOW ANGLE INVERSION TO BE EFFECTIVE. The resting surface must not bend or sag (this is called deflection) thus avoiding unwanted pressure points in the hips, back and neck. This is normally VERY HARD TO DO unless you add heavy bracing materials which make the unit impractical and unattractive for office or home use. The contact materials must be COMFORTABLE and allow the person to rest with NO SLIDING. It is not enough to merely staple an old carpet to a board so the person does not slip off. Ouch! 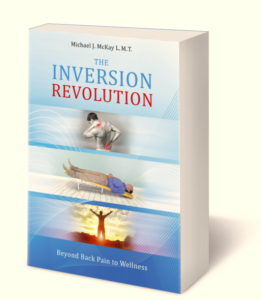 Also, a TRACTION EFFECT must be created that gently yet firmly rotates the hips thereby providing a natural compression relief to the spine and the entire physiology WITHOUT CREATING MUSCLE GUARDING. The experience must be RESTFUL for the MIND of the person and the TISSUES of the body. The experience must be one that the person LOOKS FORWARD TO REPEATING. In addition to being made of the right materials, the surface must be engineered to have the OPTIMAL Low Angle, not too high & not too low. The resting surface must feel solid and NOT shaky. The engineering and craftsmanship must be highly exact, precise and consistent. The person must feel safe and secure immediately. We made and tested dozens of prototypes at different angles to determine the “Just Right” combination of angle and materials. #4. A PORTABLE OPTION SHOULD BE AVAILABLE for those who want to travel with their Low Angle Inversion Table. Gravity Pal is the ONLY manufacturer of a PORTABLE Low Angle Inversion Table. Furthermore, our “Traveler” model delivers all the advantages found in our units designed for office and home.